Llegó la hora del western con la historia del siempre recordado "Billy The Kid", esta vez mediante una tremenda progresión hipnótica a cargo de Los Chicos del Pantano. Zombies vs Cowboys. Terror y Taberna. Sombras y desierto. En en medio de esa dualidad disfrutamos este encantador tema, mientras nos tomamos un tequila y una chica vampira nos baila a nuestro cantado, del crepúsculo al amanecer. The time has come for the western ! with the history of "Billy The Kid". A tremendous hypnotic sound progression from the band : Los Chicos del Pantano. The sinister texture of the song comes from the echo effect of the Guitars and drums making the song a compromise between the psycho-garage rock and Morricone´s western sound. Cowboys vs Zombies. Terror and Tavern. Shadows and desert. In the midst of this duality, we enjoyed this charming theme while we took a tequila and a vampire girl dancing for us, from dusk till dawn. Video realizado por Manolo Marin con una pequena ayuda de sus amigos ! Tema de una oscura banda mexicana de los 60s Los Sleepers y llevada a la pantalla por la banda berlinesa Los Chicos del Pantano el 2015. Edgard Lend filmed us in 3D ! A fines de Setiembre del 2014, mi banda Los Chicos del Pantano tocamos tres canciones en un local que tiene toda la atmósfera de Twin Peaks: Kugelbahn en Wedding. Edgard Lend, amigo nuestro vino armado de su cámara de 3D e hizo un pequeno film con una cancion nuestra. Anadimos otro video con el grupo Mermaid Voodoo, donde también toco la guitarra. At the end of September 2014, my band Los Chicos del Pantano played three songs in Kugelbahn, Wedding; this is a nice bar with a bowling in the basement. At least for me, this basement have the atmosphere from the 80s serie Twin Peaks from David Lynch..
Our friend Edgard Lend came to see us with his 3Dcamera and shot some films, one of them you see first. Fragmente von "Arbeit und Wahn oder eine Hure Namens Geld"
"Meine Damen und Herren treten sie näher, auch in der aller neusten Inszenierung von NEBEL BRUTAL " Arbeit und Wahn oder eine Hure Namens Geld" verlassen wir wieder die gewohnten Sehgewohnheiten und erweitern die Blickwinkel. Gerade bei so einem komplexen Thema wie der Arbeit und dem dazugehörigen Wirtschaftsmarkt, können wir nicht anders, als uns diesen undurchdringlichen Verästelungen mit all unserer Phantasie und brodelnden Chaos entgegen zu stellen. Diesmal agieren wir zwar wieder aus dem Inneren des Raumes heraus, doch auch hier brechen wir immer wieder in andere Gefilde/ Wirklichkeiten/ Welten/ Ebenen/ Sphären und nehmen Euch mit auf eine rasante Berg und Talfahrt der Befindlichkeiten. In engen fragmentarischen Aufzügen beschreibt NEBEL BRUTAL Alptraumhaft, aus verschiedenen Blickwinkeln unserer heutige Leistungsgesellschaft und ihre Auswucherungen ins Private und Persönliche, ins innen Leben der Arbeiter und Arbeitgeber. Als Hauptmotiv dabei dient eine erfolgreiche, exportierende Konfetti Firma, deren Gründer kurz vor dem Kollaps und dessen Arbeiter am Rande des Wahnsinn stehen." 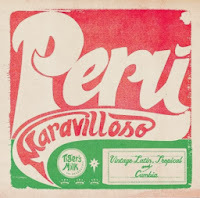 Interview: Duncan Ballantyne, the englishman behind "Perú Maravilloso"
- Is the idea of the compilation 'Peru Maravilloso' born from the experience with the Peruvian restaurant 'Ceviche', founded by Martín Morales in London? Basically Martin comes from running record labels like I do. Whilst i worked for indies like Soundway and Far Out, Martin was instrumental in setting up iTunes in Europe and worked with Miley Cyrus when she was with Disney as part of Hannah Montana. In 2011 he decided to leave the high profile media world to start a mission impossible : to bring Peruvian cuisines and culture to the UK and beyond. He contacted me and we started talking about setting up a record label (as part of his Ceviche restaurant) releasing strictly Peruvian music. We released a 7" with Juaneco y su Combo and Paco Zambrano and then Peru Maravilloso started taking shape: our debut compilation looking at vintage music from Peru in the 69s and 70s. - Which has been the most important concept to select the songs for the album? The diversity included is pretty clear, music from the 60s - 70s decades. 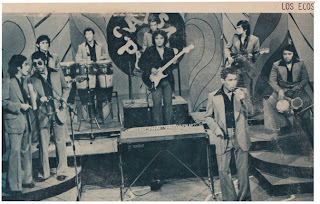 The imperative was not to pigeonhole the record with 'cumbia' or 'chicha' or ' psychedelic rock'. We wanted to make an album that is accessible to both music heads and people who had never heard Peruvian music before (apart from panpipes and Susana Baca). We love music of all varieties so we wanted to create an album that exemplifies our passion. The only 'must' was that it had to be Peruvian and made between these 2 decades. - You have also included "very rare" songs of the tropical Peruvian repertoire. Is that issue also important to your concept? Yes, we wanted to uncover tracks that have been lying dormant and forgotten about, raise the profile of artists who have never had proper recognition. However, that was the concept of this particular album both the concept of Tiger's Milk Records. - Are the migrant population of Peruvian origin in the UK/Europe an important consuming audience of this compilation and future releases? Definitely, and the general Latin diaspora. But equally this is a democratic record and it is not aimed at any particular person or taste. - How is the reception of 'Peru Maravilloso' being among the European audience? Amazing response: lots of plays on BBC radio. The first time ever that Peruvian music has been recognised internationally in such a mainstream media. 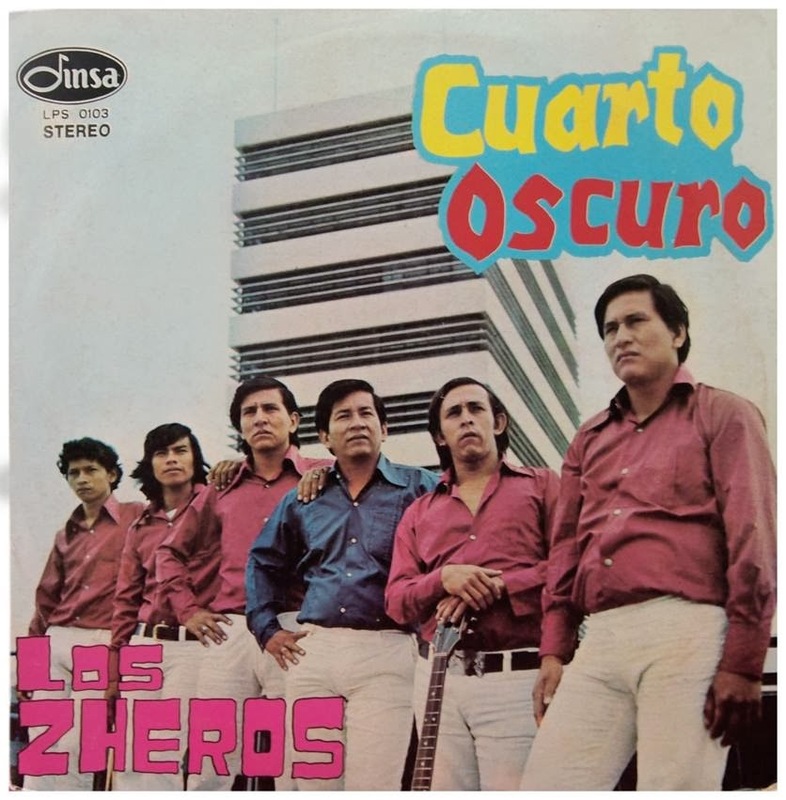 - In recent years there have been several American and European labels compiling Peruvian cumbia artists of the 70s such as Barbés Records, Vampisoul and Secret Stash, or simply 'Colombian Cumbia' by Soundway. How does Tiger's Milk look like in that context? Tiger's Milk does not aim to replicate any other label's concept. We are truly passionate about Peru and its culture. We aim, as Tiger´s Milk to not just release music but offer a platform for other arts like gastronomy, theatre, literature and other cultural endeavours. - Which was the original source of the songs collected? Vinyl, CDs or master tapes? A mix of vinyl and master tapes from labels in Peru. - Has it been difficult to integrate the different qualities of the sound on a single compilation? Yes definitely, some of the vinyl is very rare and copies we had had to go through a rigorous mastering and reconditioning process. - Have you got any projects after 'Peru Maravilloso'? 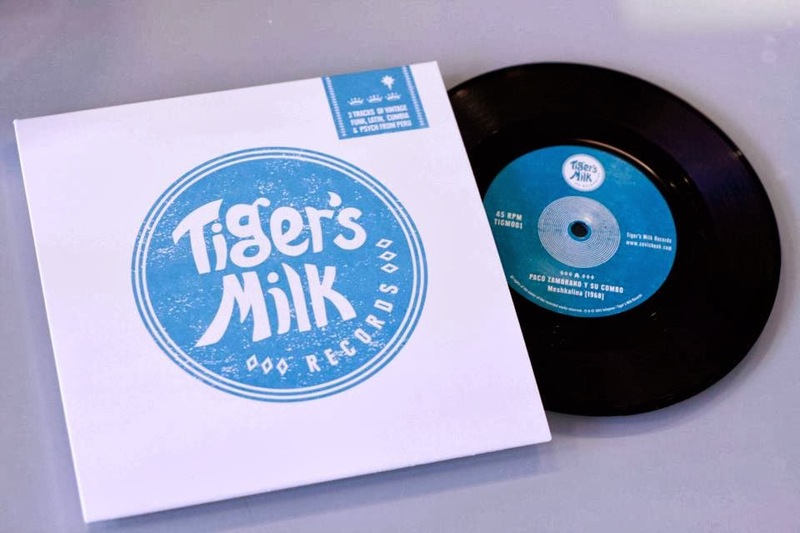 Tiger's Milk Records will release compilations of new and old music, explore and promote current trends in Peruvian music, work with artists, develop artists and we aim to become one of the most respected and authentic Peruvian cultural outlets outside of Peru. Duncan Ballantyne, Tiger's Milk Records. Interview by Ricardo Garcia, translation by Antonio Ayora. Perú Maravilloso Lp, Tiger´s Milk TGM003. 2013. 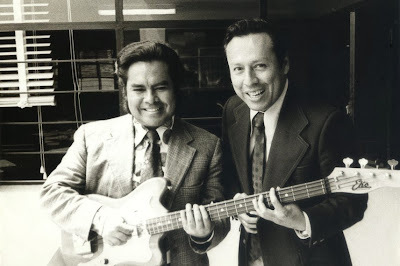 I think it is not necessary to remind our regular readers the purpose behind Sotano Beat's fanzine and blog: Returning to the collective memory, the work of Peruvian musicians from the 50s, 60s and 70s. Artists who undeservedly had a brief success at the time and then disappeared forever. But now, more than ten years after the foundation of our fanzine, it is also necessary to highlight the work of the labels that in recent years have released the work of these musicians, putting them again in the musical map for the current generation. And what is better than international labels in Peruvian hands doing it? I mean the newest Tiger's Milk. 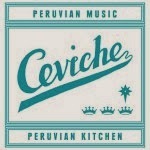 I don't need to take too much time on the presentation of this new record label founded by Martín Morales, known in the culinary world for its Peruvian restaurant "Ceviche" in London. We will publish an interview with his partner David Ballantyne, also responsible for this compilation. 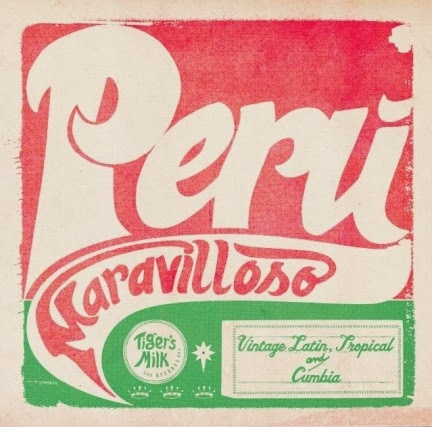 Tiger's Milk had already released “Peru Maravilloso” in every sonic format, including vinyl deluxe edition LP and 7". We must also mention the collaboration of Andrés Tapia (Repsychled Rcds) in the excellent selection of the compiled songs. Lucho Neves and his Orchestra started playing with skill and originality a classic tune of the South-American Andean music: “El Mambo de Machaguay”, latin jazz with an unique flavor. Then comes the Caribbean style 'descarga' of Chango y su Conjunto playing an incredible set right before the relentless groove of Juaneco y su Combo, with the hypnotic "Cumbia del Pacurro": cries of wild animals from the dark jungle, soaked in wah wah guitars and the ubiquitous guiro that invites you to move your body in a trance! 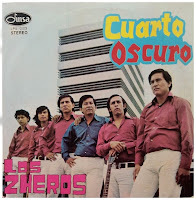 Then comes the turn of the "dark" Zheros with their uninhibited psychedelic guitar riffs and reverberant sound, cumbiando with "Para Chachita". The party can't stop! 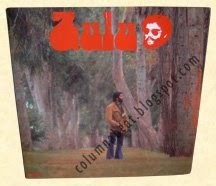 The sound of "Meshkalina" comes now: a little masterpiece of psychedelic Peruvian composed by Traffic Sound, this time in the original version of the Paco Zambrano y su Combo, with a strong boogaloo rhythm. 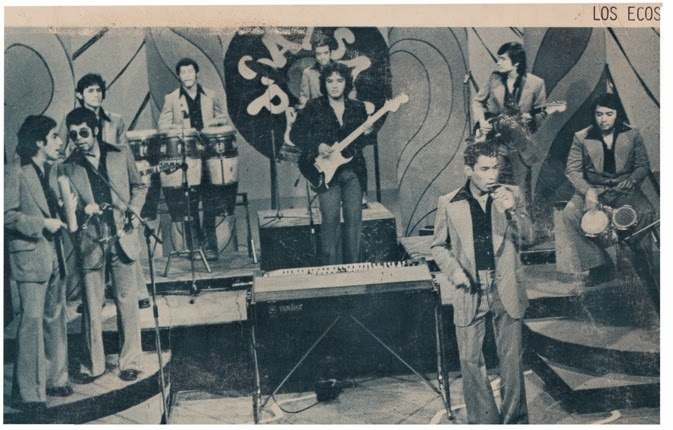 After that, the cumbia returns again, this time with Los Gatos Blancos and their “El Chacarero”; a band reissued for the first time in a compilation, with an extremely fine sound between Los Mirlos and Los Diablos Rojos. Zulu sings "Sueño de Amor" in the key of soul and boogaloo, with that sensual idiosyncratic voice of him. After this romantic intermission we are back to the land where cumbia kicks, and we are dancing to Los Orientales, Los Ribereños and Los Ecos, who bring a stunning reinterpretation of the Beatles tune "I feel fine”. What can be said about the next track "Toro Mata"? It's a tune that every Peruvian has ever heard. It's a song that not only defines our national folklore, but, unlike any, reveals the great contribution of African culture to the Peruvian culture. The compiled version brings the Orchestra of Pocho Purizaga doing some beautiful string arrangements, elegant Hammond sounds and tasty percussion work. 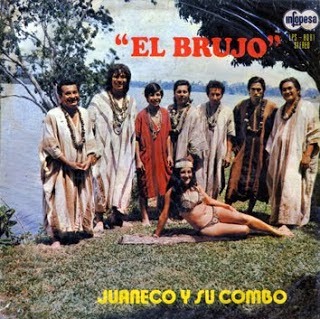 To continue surprising us with this collection of songs comes Manzanita, founder (along with Enrique Delgado) of the Peruvian style of cumbia: the tune "Zambito Rumbero" brings to our ears an electric guitar raving with his unique and uninhibited style, turning upside down the limits of a genre invented by himself: That's what I call originality! The LP also comes with a bonus track from the creators of "Darkroom", The Zheros and their insane "Descarga de los Zheros".It is also important to mention the quality of this first label's release, the very informative notes accompanying the CD and the mp3 downloads accompanying the vinyl edition, adding a good design to a compilation that sets already, musically, a high standard for future editions of our Peruvian urban music. Thanks to Antonio Ayora González for help to translate this text. Sitting in a restaurant near the city center, I started my conversation with Lucho Carrillo, singer of Cumbia All Stars. "We really rocked the house!" He replied enthusiastically when I asked how the concert was in the WOMEX . Cumbia All Stars came to Berlin after several performances starting with their concert at the World Music Expo in Cardiff (UK) representing Peru. Artists from around the world like Sidi Touré from Mali , Les Tambours de Brazza from Congo or the famous Van Van from Cuba were also there. Sitting at the same table (shortly before their concert) I was honored to see the musicians who played in bands like Compay Quinto, Los Destellos, Los Diablos Rojos or Los Beta 5 : the founders of Peruvian Cumbia, now known by various nicknames, including "Psychedelic Cumbia" or what I like most "Cumbia Beat". 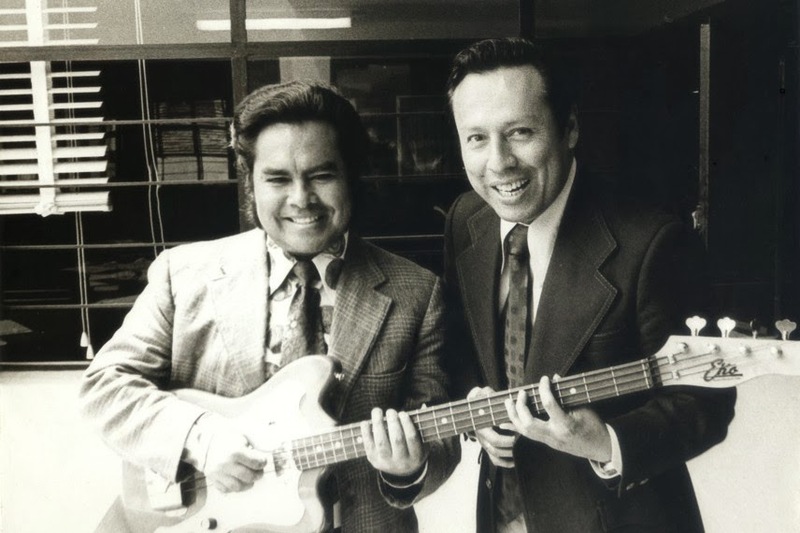 Lucho Carrillo (who answered my questions) was for four decades the lead singer of Los Diablos Rojos, with whom he toured through the country. 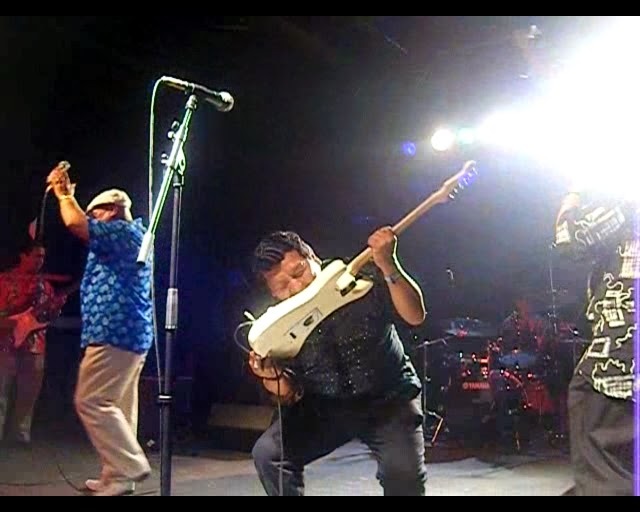 Under the direction of Marino Valencia he recorded ten Lps : "Our cumbia was aguarachadita" he told me confident , "we had our own style, Los Destellos their own style too, you recognized our sound immediately, not like the groups from now sounding similar to each other "
GUITARS IN THE ORBIT ! Asking about their European tour he told me that in the peruvian carp of WOMEX they initially had trouble checking the sound. But then people, their audience, surrendered completely dancing to the hot music that they carry in their drums, guitars and blood. In addition to be excellent musicians, Cumbia All Stars are perfectionists of sound and proudly want to leave a mark on the European public. Their concert is like opening the door of their homes and like letting you into their world, a world in which sympathy and joy of life make you spend an unforgettable night . "Thanks to Selvámonos, because of them we are here. They wanted us to play the authentic, original Peruvian cumbia. At the beginning they casted about twenty musicians, but now only eight stayed." As he said it, I saw them eating. It was clear that they fitted together very well. At the concert in Glashaus Fernando Diaz Loli started playing his stratocaster, making his “solo” with his teeths in the style of rock and roll! Or Manuel Pecho, coming out of the shadows to do a bass solo , starting with deep to the higher notes! What defines Peruvian Cumbia as music style? " Electric guitars! " answered Enrique Yllescas, "We added effects like Fuzz and Wah Wah " remarked Lucho "And Los Pakines used the Tape Echo" ( predecessor of Delay) - added Enrique again. 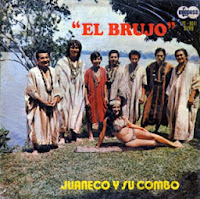 "And how this reinterpretation of cumbia was accepted in Colombia, these new sounds from Perú? I asked with curiosity : "Well” - Lucho Carrillo told me - “years ago, I was invited to Bucaramanga in Colombia, and when I arrived they had closed several streets of the city. It was a tremendous party in the whole city. They had put together a huge sound system. More than three blocks of people dancing in the street and they were dancing Peruvian cumbia! The DJs put Los Destellos, then my group Los Diablos Rojos... Everything! I had stayed 15 years living in Colombia, but fate brought me here, to Europe, to be the voice of Cumbia All Stars." "After Berlin, when we will return to Perú, we will complete our recordings of the first album with the band, we´ll gonna finish the mixing and mastering" concluded Lucho Carrillo. Jose Rodriguez "El Gato", manager of the 2013 European tour, told me that the album will be officially launched on January 3rd in Lima. He also said that they are working with La Gris Films, for the realization of the next video clip, which will be released about March 2014. My thanks to Selvámonos team, especially José Rodríguez and Juliette Boggio and Lakino. Ricardo Garcia, Sótano Beat correspondent from Berlín. Cumbia All Stars Tour Europeo 2013 : Reportaje. Sentado en un restaurant cerca del centro de Berlín inicié mi conversación con Lucho Carrillo, cantante del super grupo Cumbia Allstars. “La rompimos !” me contestó con entusiasmo cuando le pregunté cómo les había ido en el Womex. Cumbia All Stars había llegado a Berlín después de varias actuaciones iniciadas con su concierto en la World Music Expo en Cardiff, Reino Unido, representando al Perú juntos a artistas de todo el mundo como Sidi Touré de Mali, Les Tambours de Brazza del Congo o los famosos Van Van de Cuba. Sentados en la misma mesa ( poco antes de su concierto) tuve el honor de ver a los músicos fundadores de la cumbia peruana, ahora conocida bajo diversos motes, entre ellos “Cumbia Psicodélica” o el que a mí más me gusta “Cumbia Beat”. Preguntando por su tour europeo me comentan que en la carpa peruana del Womex, al principio costó trabajo poner el sonido a punto, pero después la gente, su público, se entregó completamente bailando al son de esa música caliente que ellos llevan en los cueros y en la sangre. Y es que, además de excelentes músicos, los integrantes de Cumbia All Stars son perfeccionistas del sonido y con orgullo quieren dejar huella en el público europeo. Un concierto para ellos es como abrir la puerta de sus casas y dejarte entrar en su mundo, un mundo en el cual la simpatía y la alegría de vivir te hacen pasar una noche inolvidable. Fernando Díaz Loli arrancando octavas imposibles de su stratocaster para terminar tocando las cuerdas con los dientes al más puro estilo del rockanroll ! o Manuel Pecho, saliendo de la sombra para hacer un solo de bajo eléctrico, empezando con las notas graves y profundas y llegando hasta abajo ! del instrumento me refiero. Y es que la picardía sale al menor descuido. Qué es lo que define una agrupación de Cumbia Peruana? “Las guitarras eléctricas !” me responde Enrique Yllescas, “...le anadíamos efectos como el Fuzz y el Wah Wah” remarca Lucho “...y Los Pakines solían usar el Eco de Cinta !” (antecesor del Delay) - añade Enrique nuevamente. “Después de Berlin, cuando regresemos a Perú vamos a poner a punto las grabaciones de lo que será el primer disco con la banda, vamos a terminar las mezclas y la masterización.” concluye Lucho Carrillo. Conversando después con José Rodriguez “el gato”, persona clave y tour manager de la banda, me aclara que el disco será oficialmente presentado el 3 de Enero en Lima. Mis agradecimientos al equipo Selvamonos, en especial José Rodríguez y Juliette Boggio y Lakino Berlin. Lou Reed is gone, the waiting has ended. Picture: Colibri Underground by Juan Avellanosa.